Today is the day! 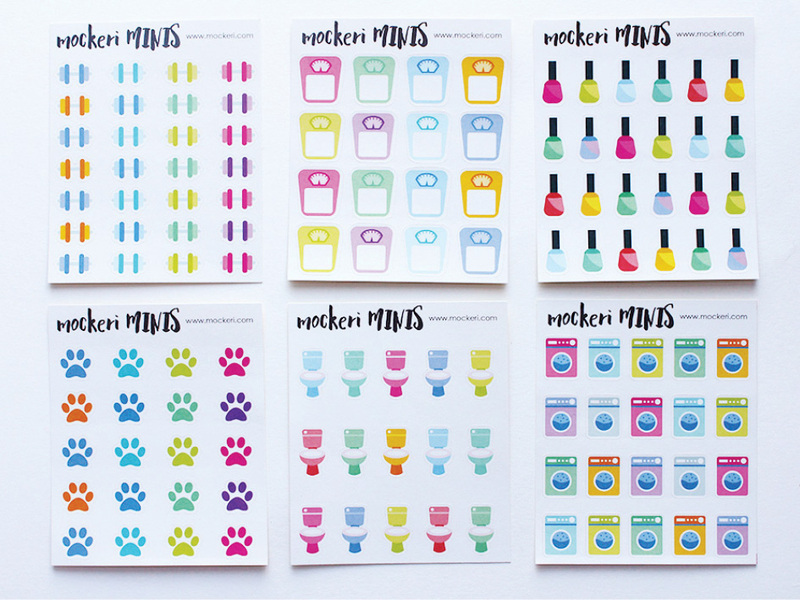 These really cute and colourful mini sticker sheets are now available for purchase in my Etsy store! I’m so super excited! Squee! 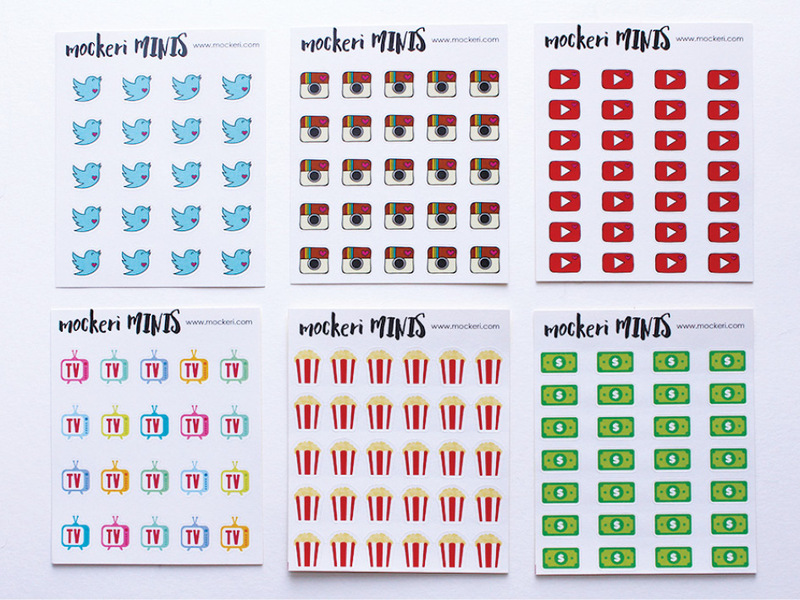 There are 18 different designs and you can create your own set. 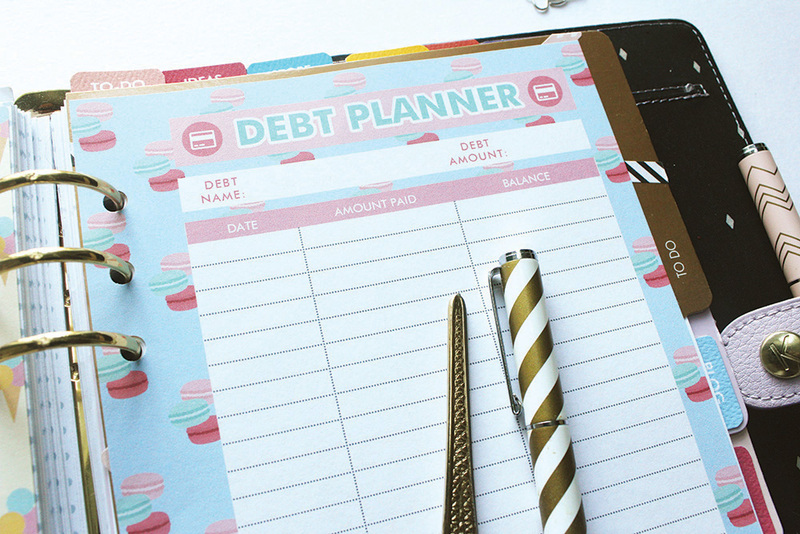 Minimum amount is 3 sheets, maximum amount is 10 sheets. Go check them out here now! Here is a closer look of all 18 designs to make selection easier (or harder). I think they’re all adorable and personally find it hard to choose. 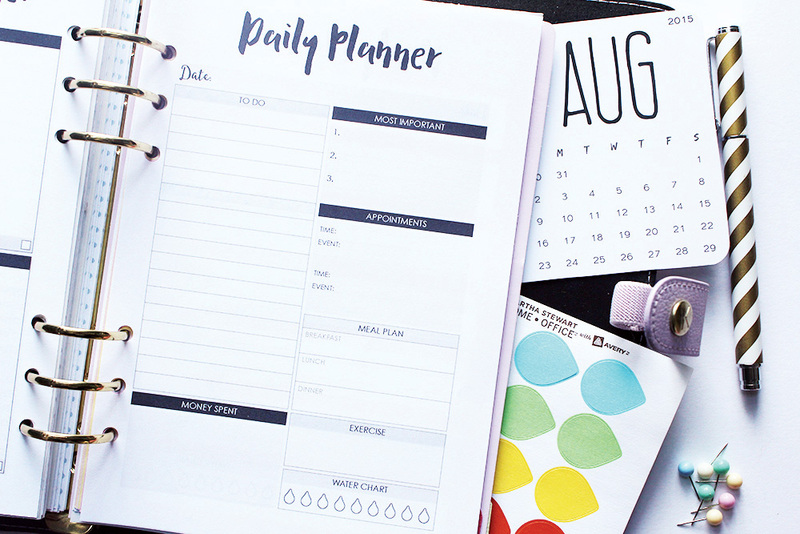 I’m using all of them in my Erin Condren planner, but you can also use them in any planner (like Kikki.K or Filofax), journal or diary. 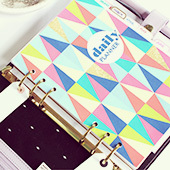 You just have to be a planner nut like me! 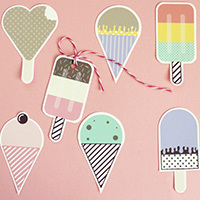 And love stickers! 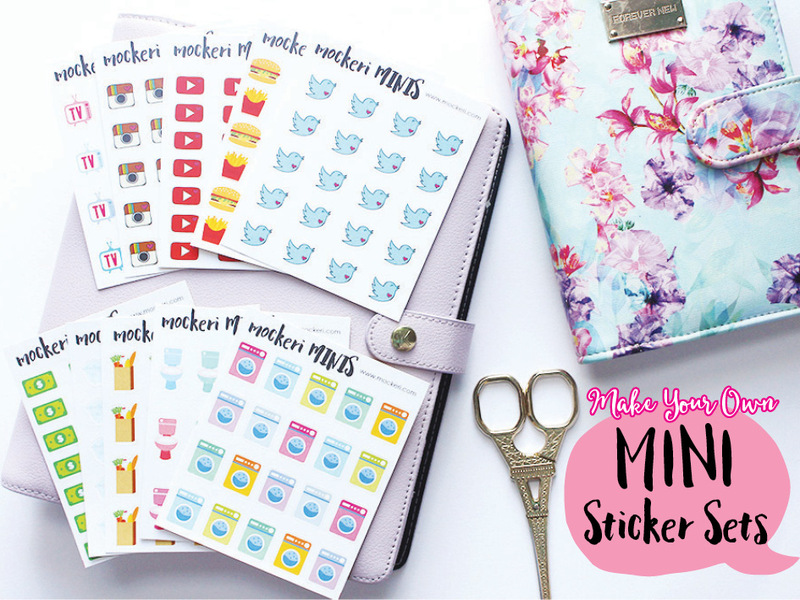 It’s so much fun planning my week with these fun stickers and decorating it! I definitely have more ideas to add more to this collection and will update you when they become available! 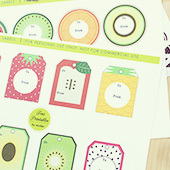 There’s a new style Blog Planner Printable in my store. 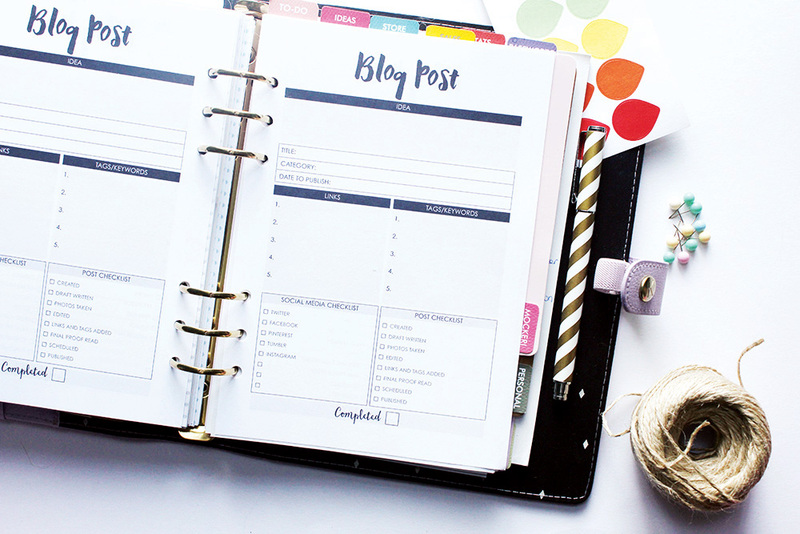 The Blog Planner Printable is one of my most popular items and I thought I’d revamp it and make another version with a different more simplistic style. 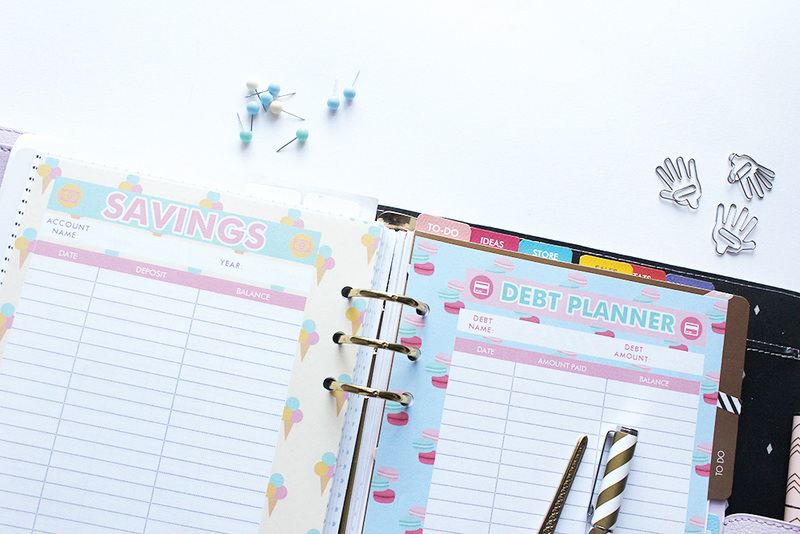 The new Blog Planner Printable is very similar to my older version, but is slightly different. 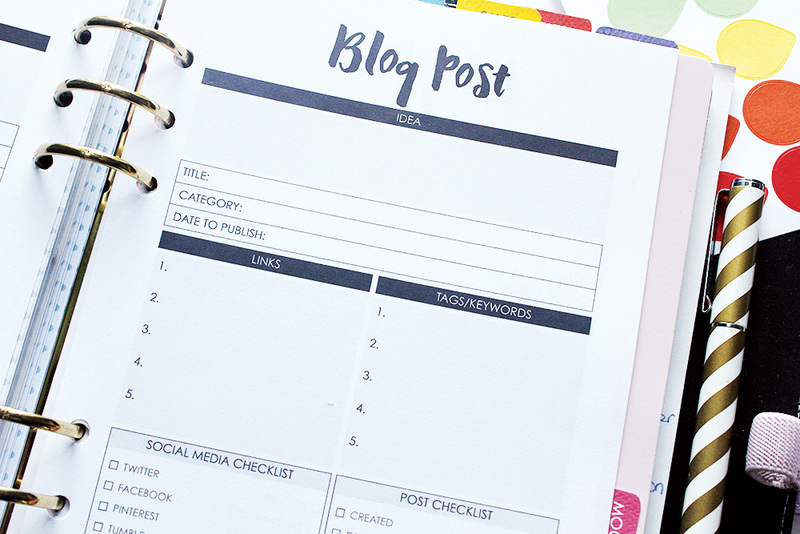 I use these printables myself for this website, so included the categories and information boxes I think is most important when planning your blog post. I also like the big ‘completed’ check box at the bottom – just to sign it all off. 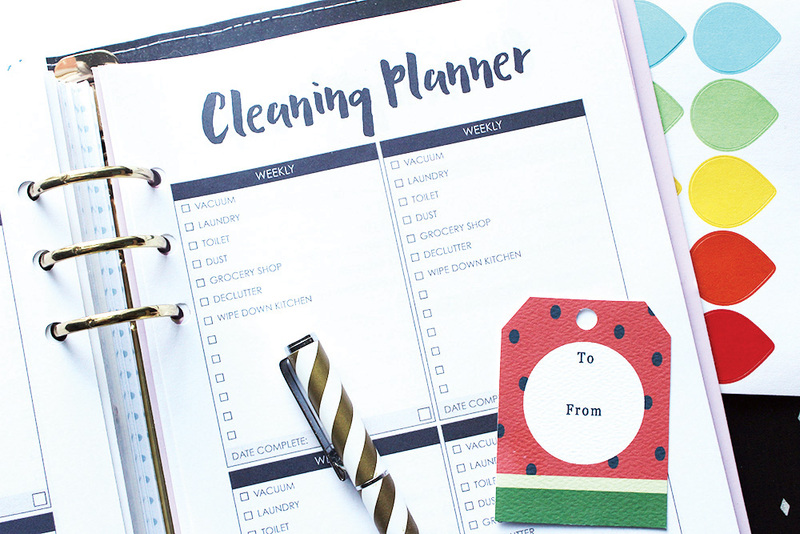 Ever since we bought our new house, I’ve been slowly finding a good cleaning schedule and routine that fits with my work and daily life. 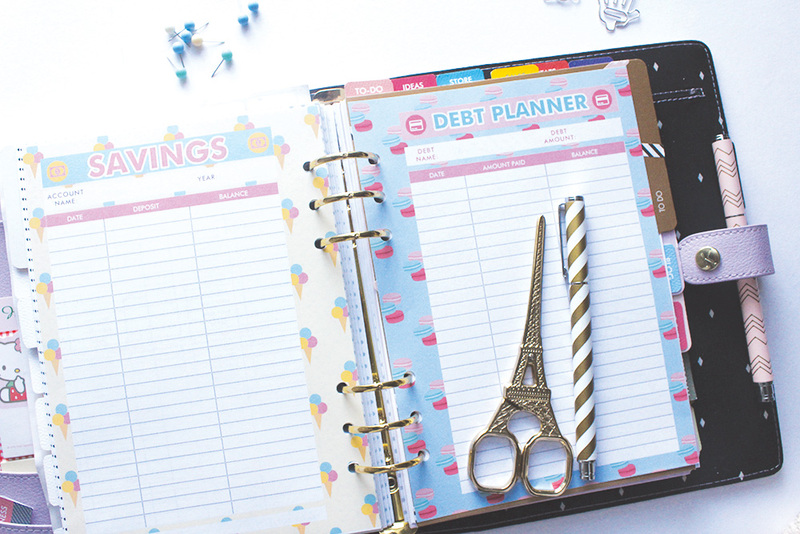 I know what my tasks are every week, month and few months in my head, so it just makes sense to put it all down in a planner! 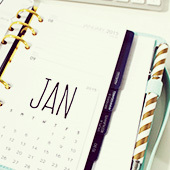 There are check box tasks for weekly, monthly and quarterly (3 months) as well as blank check boxes to fill in yourself. At the bottom of each box, you can write the date all tasks are completed. 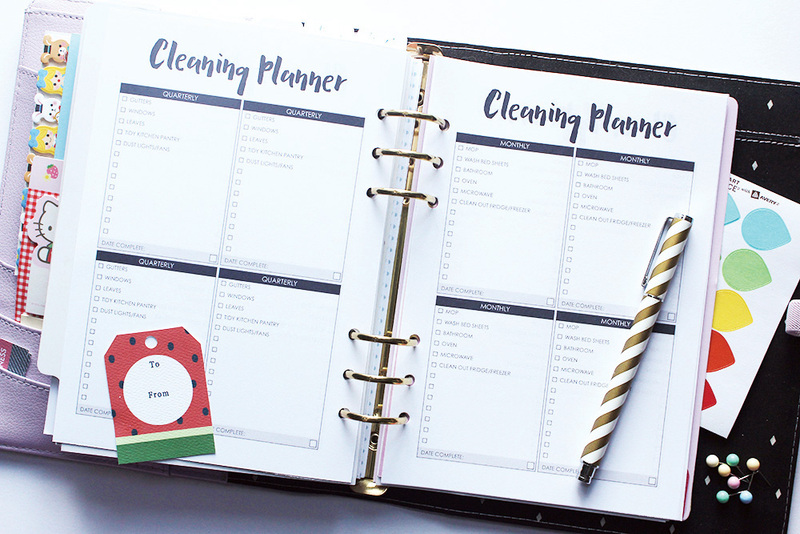 Check out the Cleaning Planner Printable here. 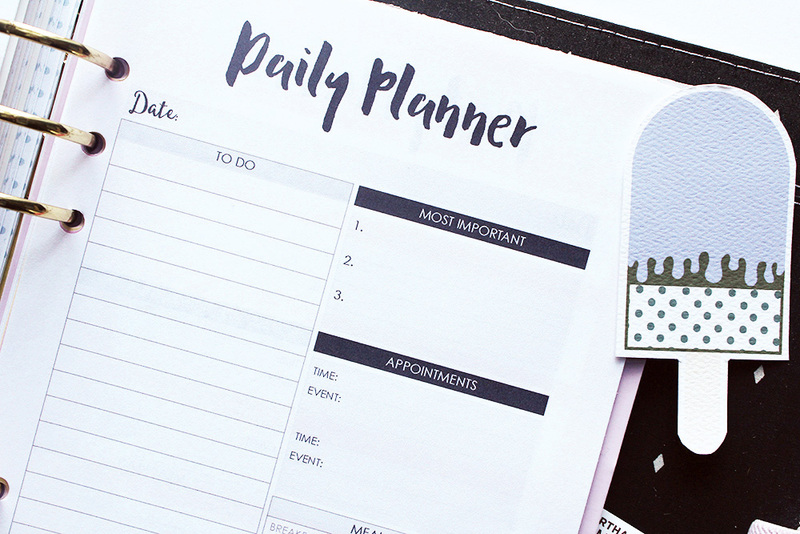 I’ve also added this Daily Planner Printable to the shop. 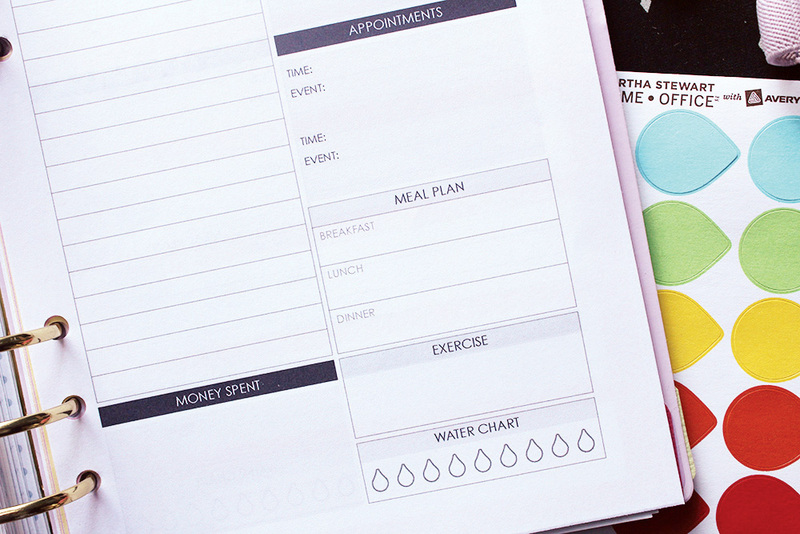 It’s a 1 pager (though you print double sided) and on it you can write all your daily tasks, appointments, meals, exercise, spendings and even water intake. 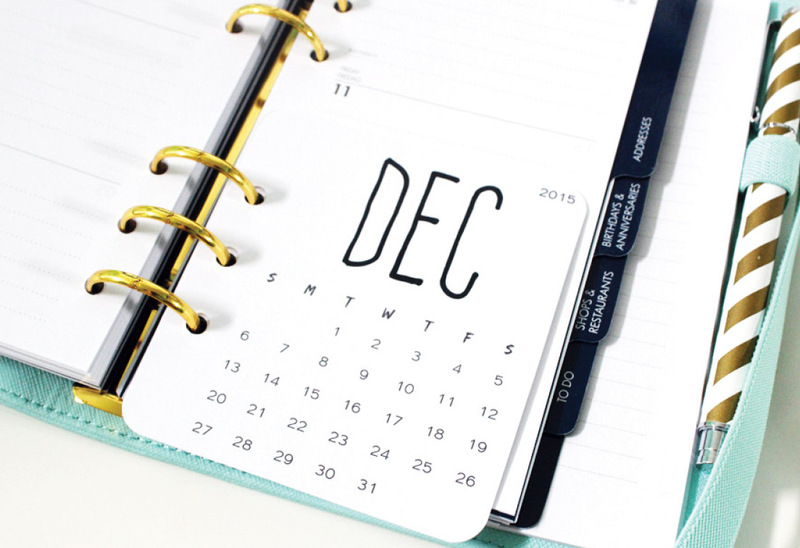 It’s a great way to organize what you need to do or will be doing for the day. 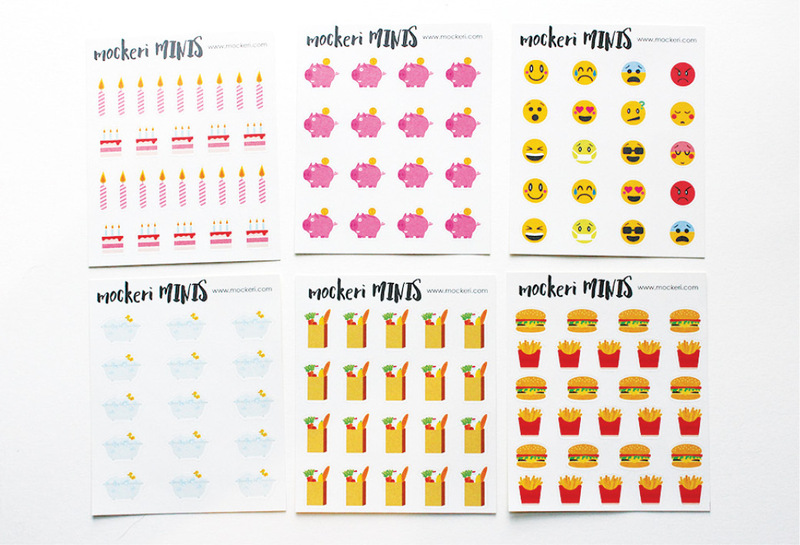 I quite like the new black & white basic style these printables have. Both men and women can use them. 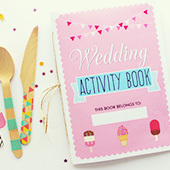 And you could always decorate the pages up yourself by using stickers or different coloured pens! 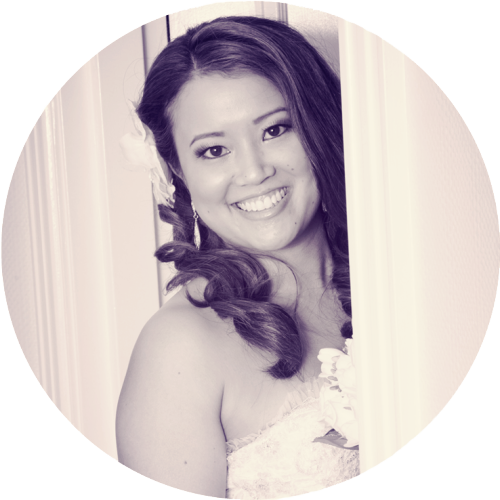 Let me know if you enjoy them too! Check them all out in my Etsy Store now! 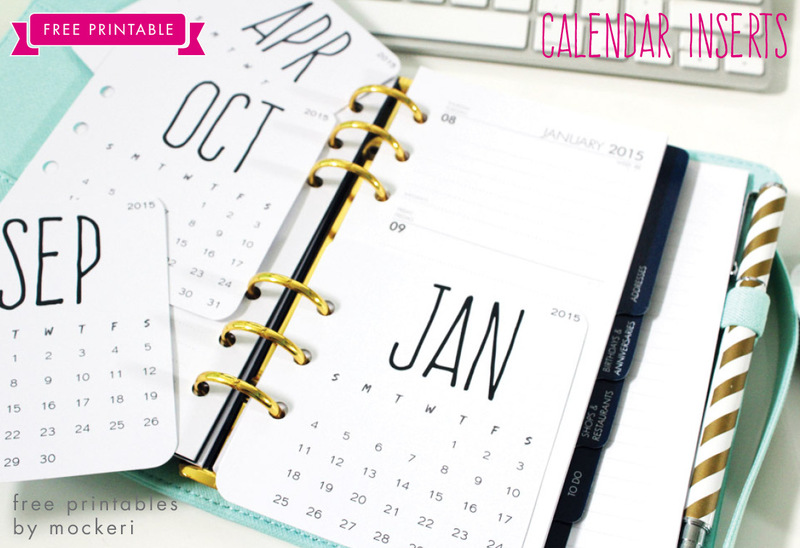 Ever just need a monthly calendar to refer to while you’re writing in your diary or planner? Most of the time I have to open the calendar app on my iPhone to check dates and days of the week. 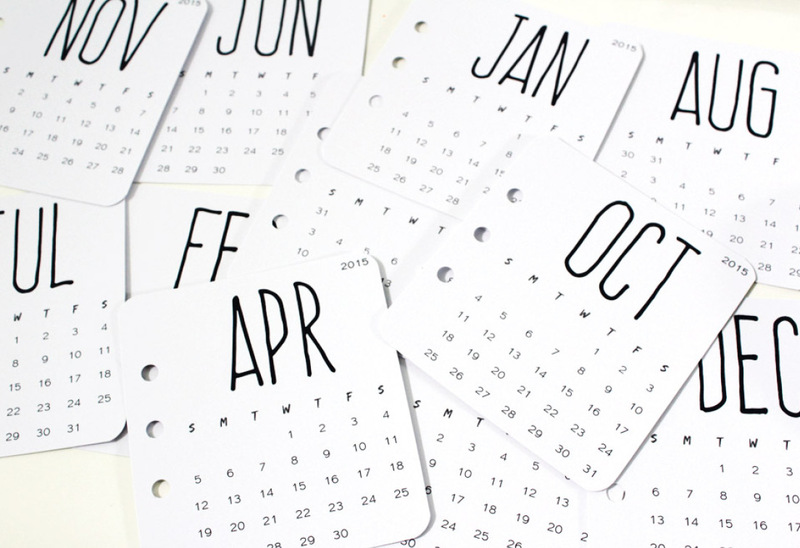 Well here is a free printable of 2015 monthly calendar inserts. 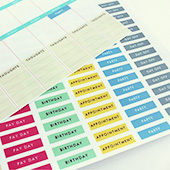 Print it out, cut them out, punch the holes and insert it throughout your planner for easy reference! I hope you get great use out of them!